Water is pumped steadily out of a flooded basement at a speed of 5.30 m/s through a uniform hose of radius 9.70 mm. The hose passes out through a window 2.90 m above the water line. 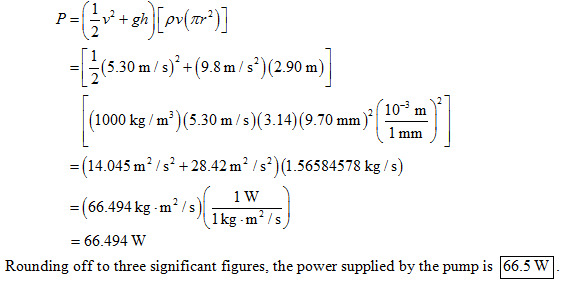 How much power is supplied by the pump?